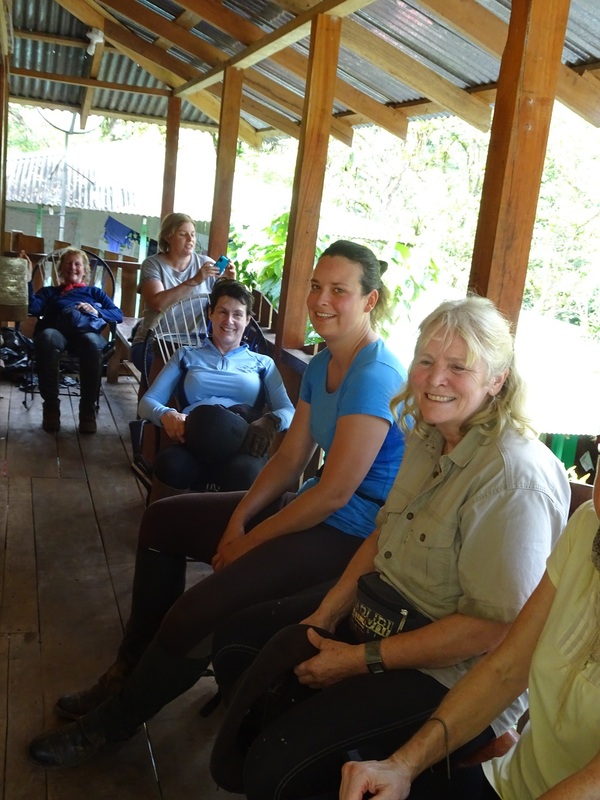 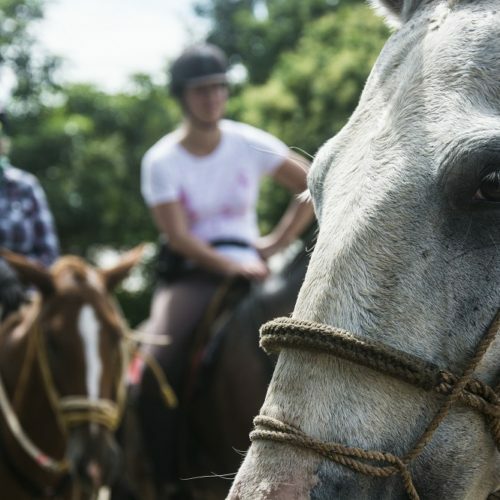 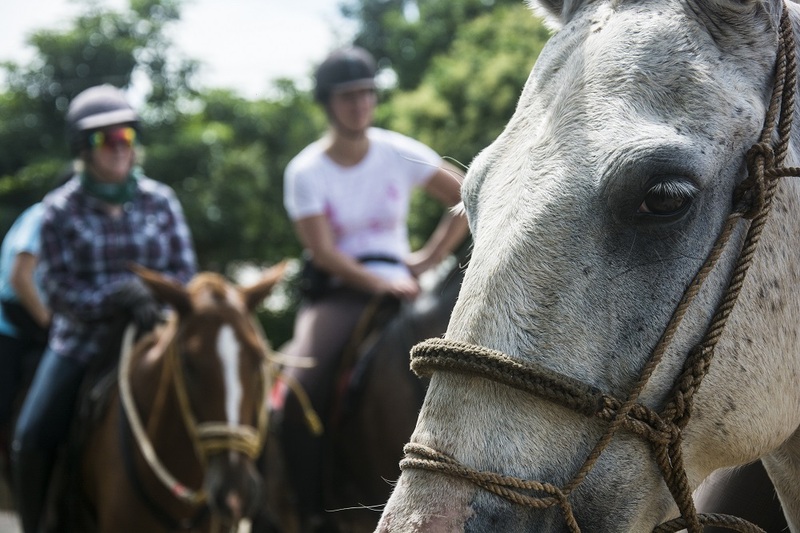 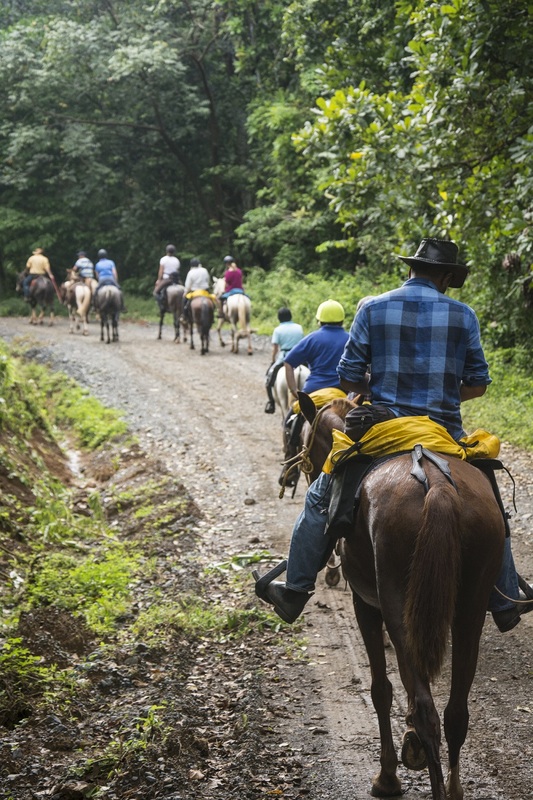 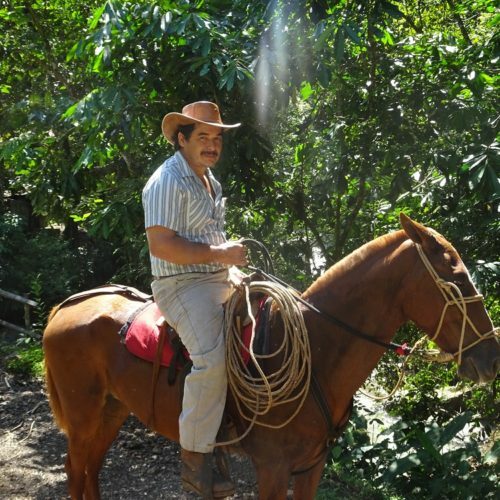 Costa Rica is a wonderful country to explore on horseback. 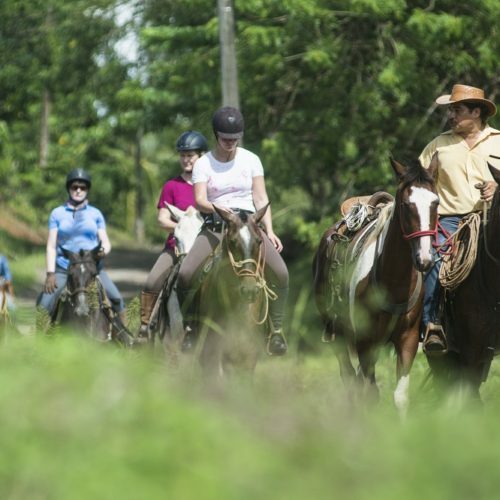 The varied terrain and diversity of its landscapes and wildlife make it a perfect riding destination. 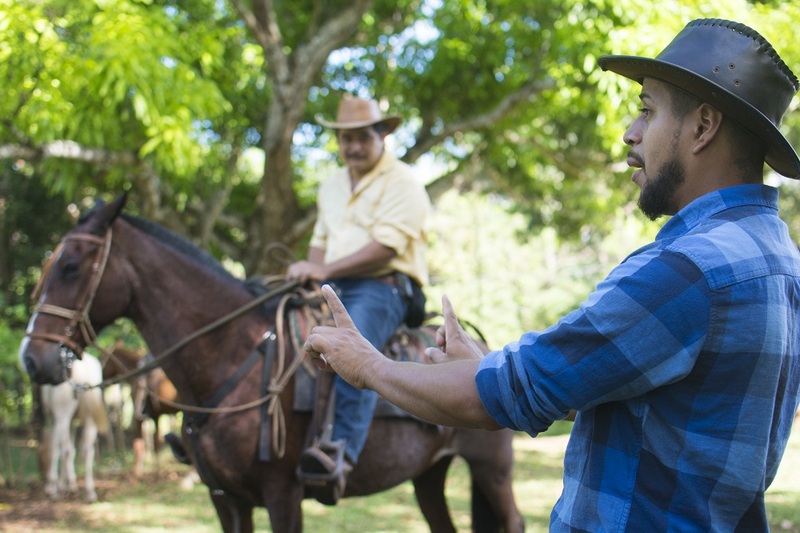 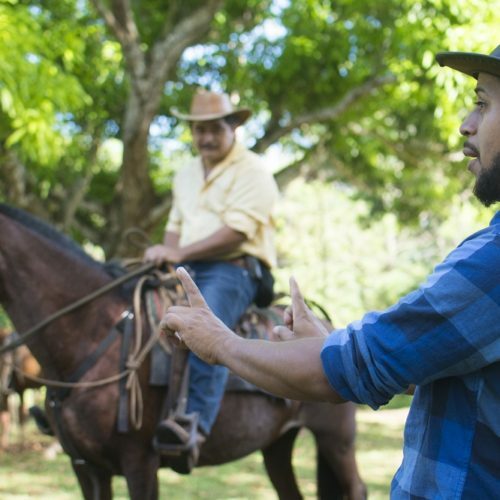 Since its beginning, Costa Rican history has been indelibly linked to the life of the cowboy or ‘Sabanero’ as the ‘Ticos’ call them. 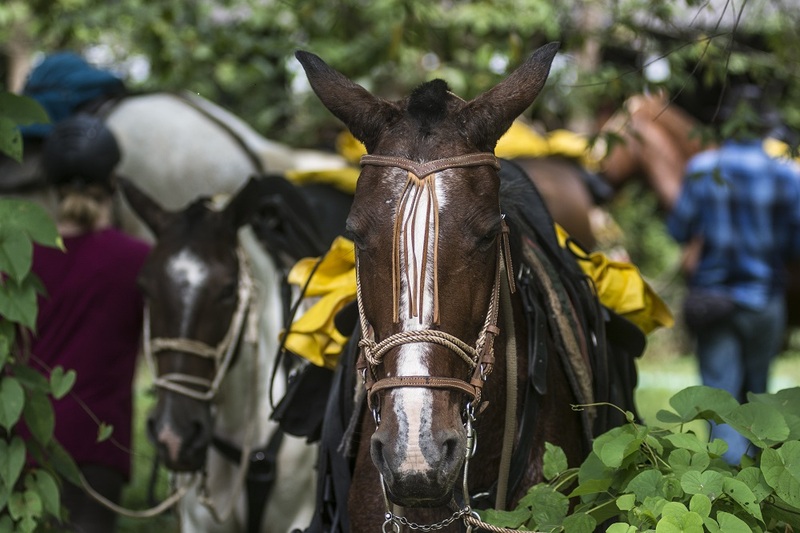 Even today in modern Costa Rica, many of the traditions and culture of days long past are still alive and one can still see the mighty Sabaneros working cattle in the countryside. 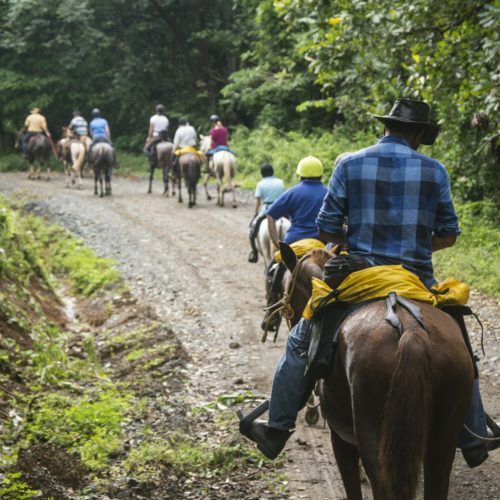 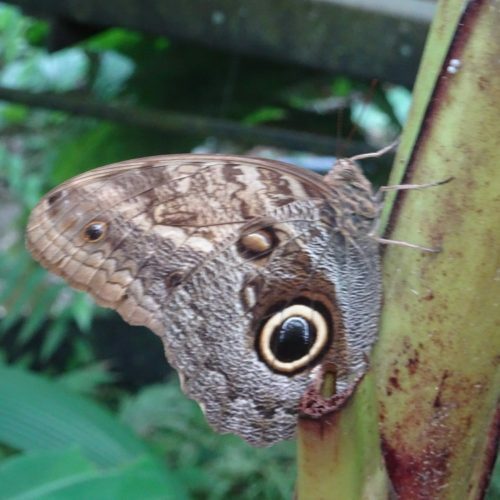 On the Wilderness Ride you will be immersed in the tropical forest, witness outstanding natural diversity and experience an insight into rural Costa Rican life. 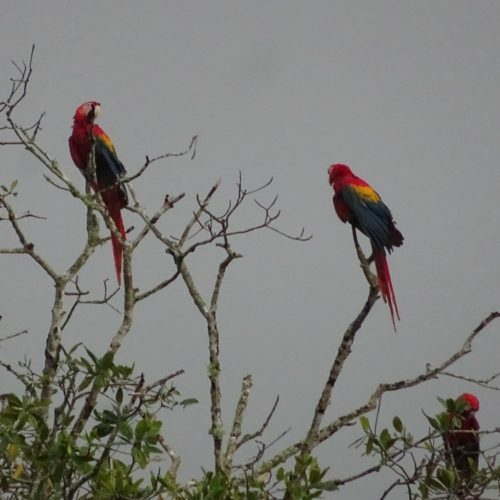 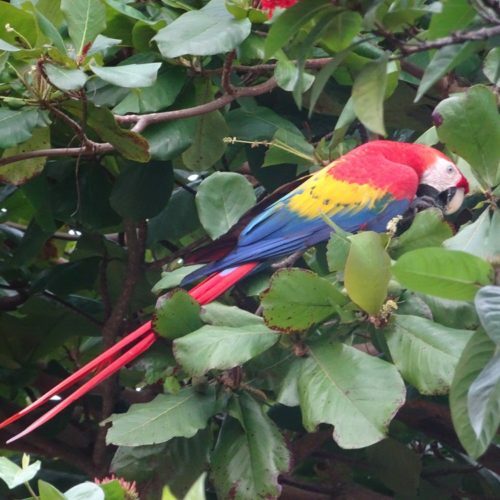 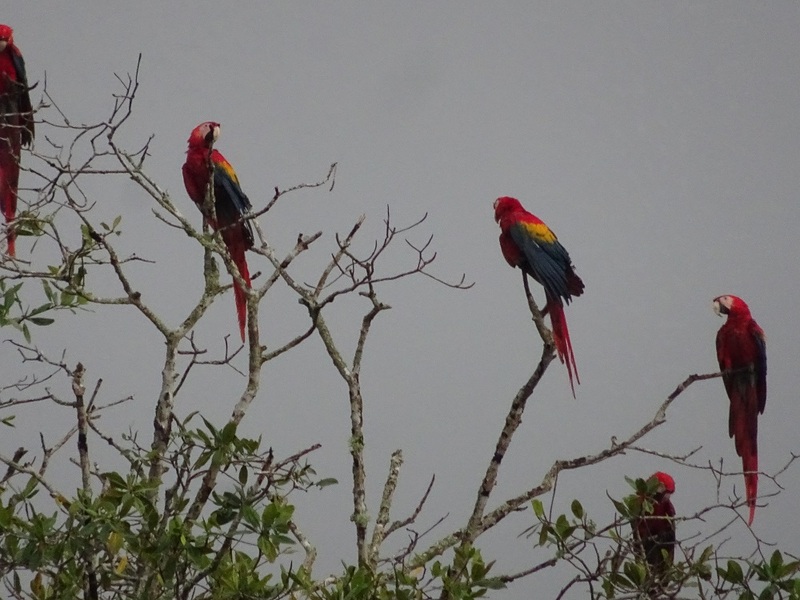 Along the way you may be lucky enough to spot species such as macaws, parrots, parakeets, toucans, monkeys, coatis, agoutis, sloths, peccaries, tayras and possibly the elusive jaguarondi, a small wild cat. 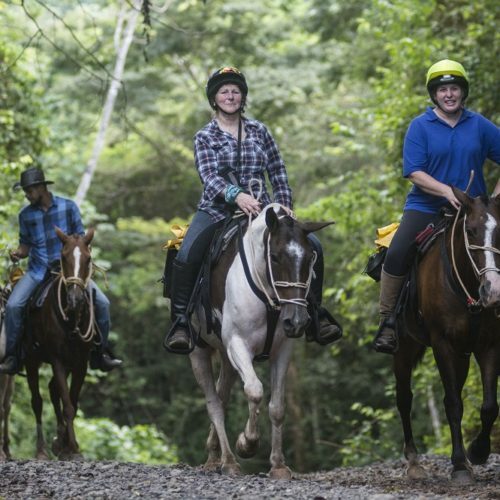 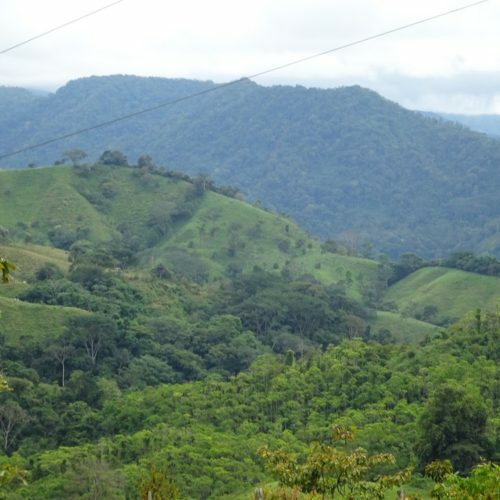 This adventurous ride allows you to explore pristine tropical lands in an area which forms the meeting point of Meso-American and South-American flora and fauna, combining a wide range of life zones including Transitional Pre-Montane and Lowland Forests. 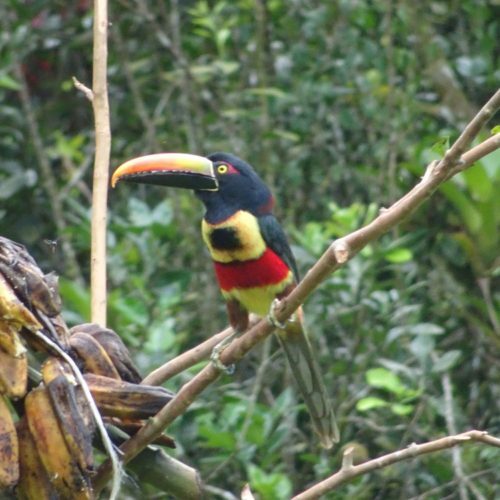 Your adventure begins in the area surrounding Carara National Park, famous for its range of natural habitat and its biodiversity. 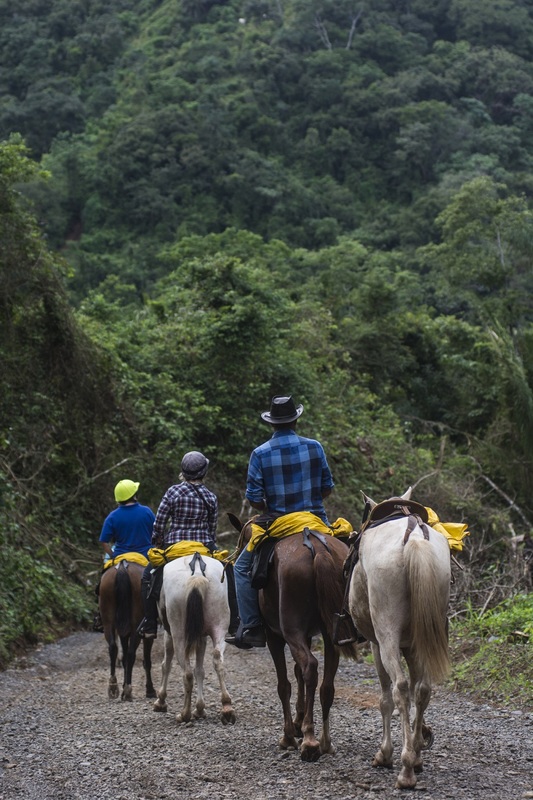 The route takes you from Carara National Park to Finca Galán in the remote Turrubares Mountains. 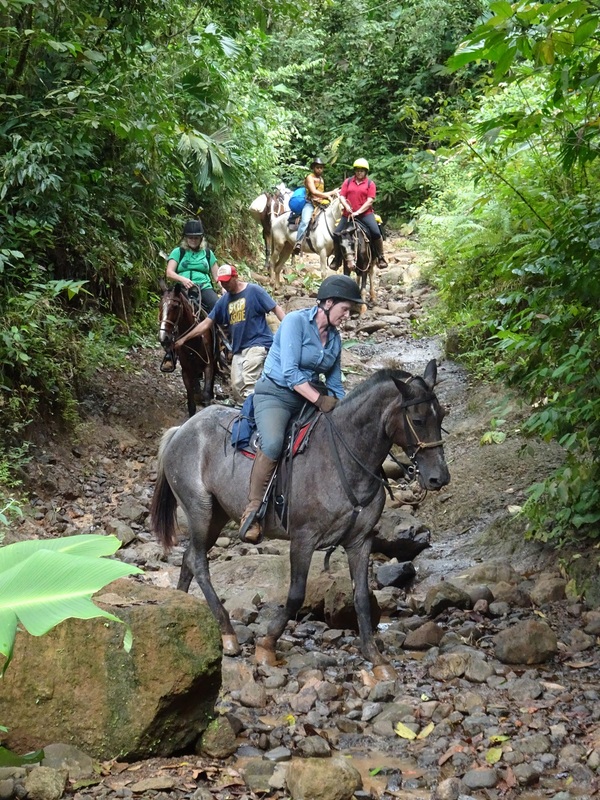 Here you explore on horseback fantastic tropical forest, farmland and high coastal ranges. 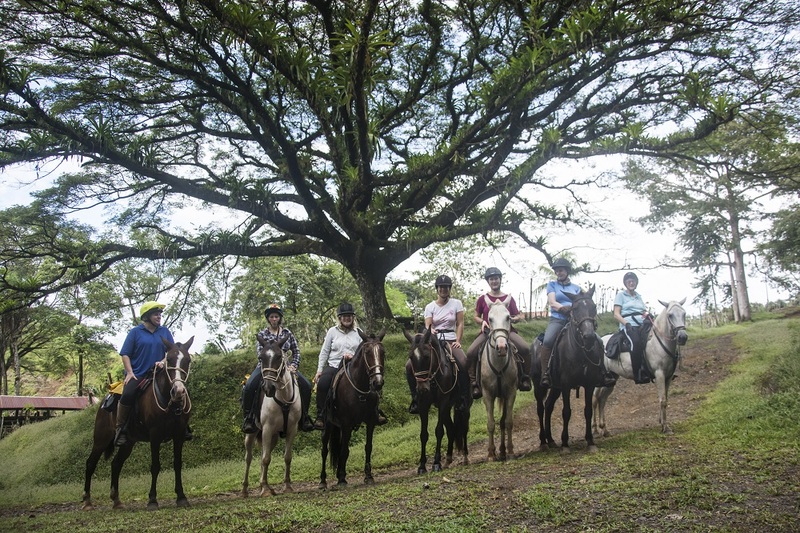 Your final ride takes you from Finca Galán towards the Pacific coastline. 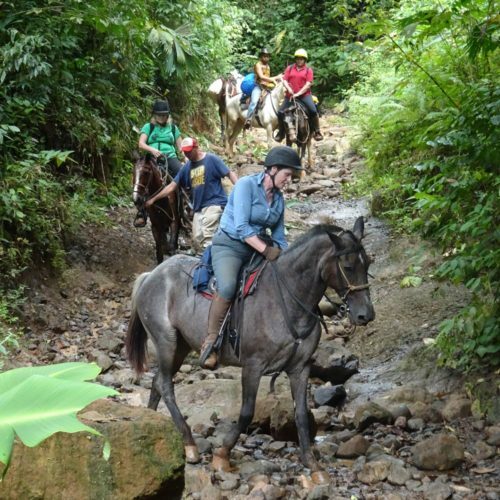 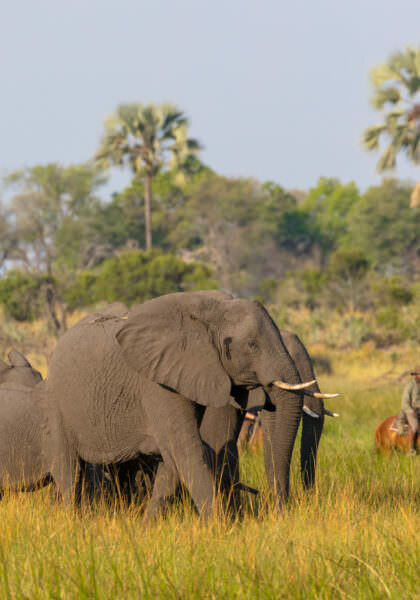 This is very much an expedition type riding adventure, and you should be prepared to have a flexible attitude and ‘go with the flow’ should weather conditions necessitate an alteration to the proposed route or itinerary. 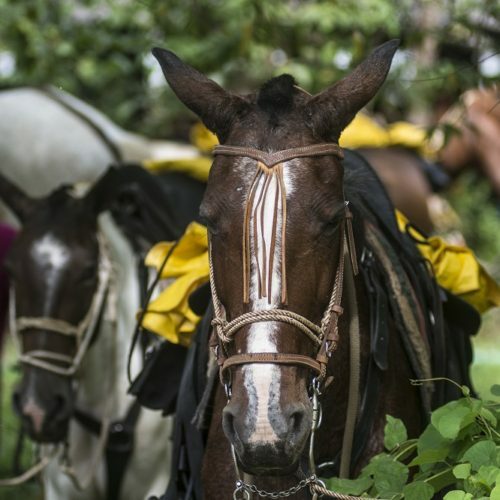 The horses are the deceptively sturdy Criollo ranging from 14hh to 15hh. 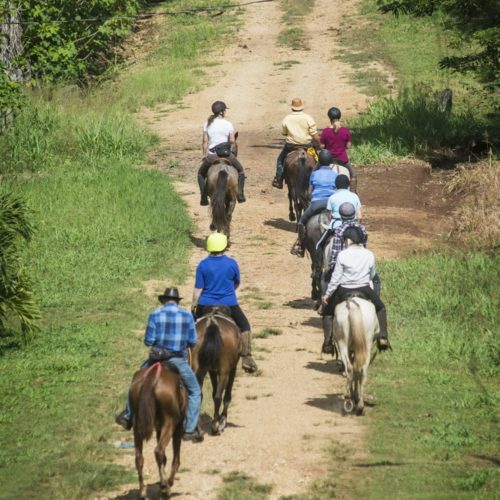 They are trained to respond to neck reining mostly in bitless bridles and are ridden in modified McLellan saddles. 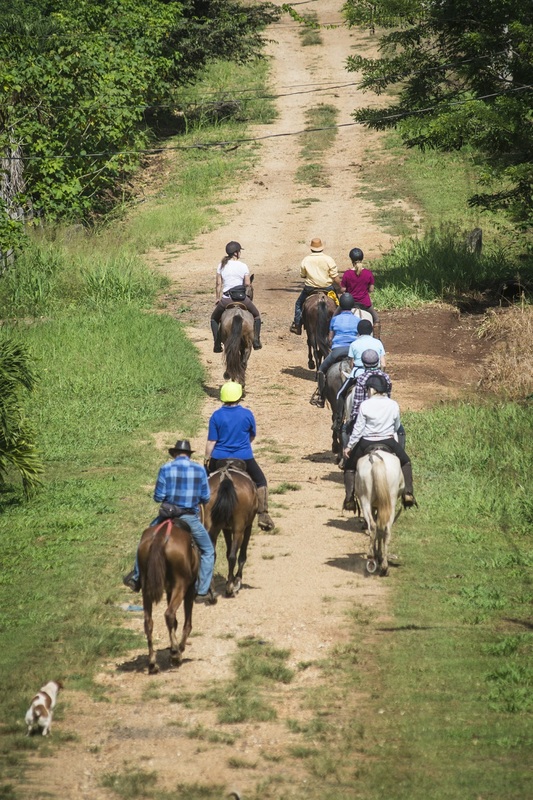 You should have done some riding before as there can be some long hours in hot conditions. 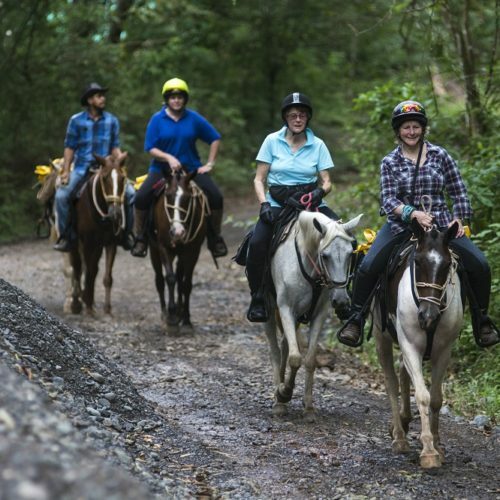 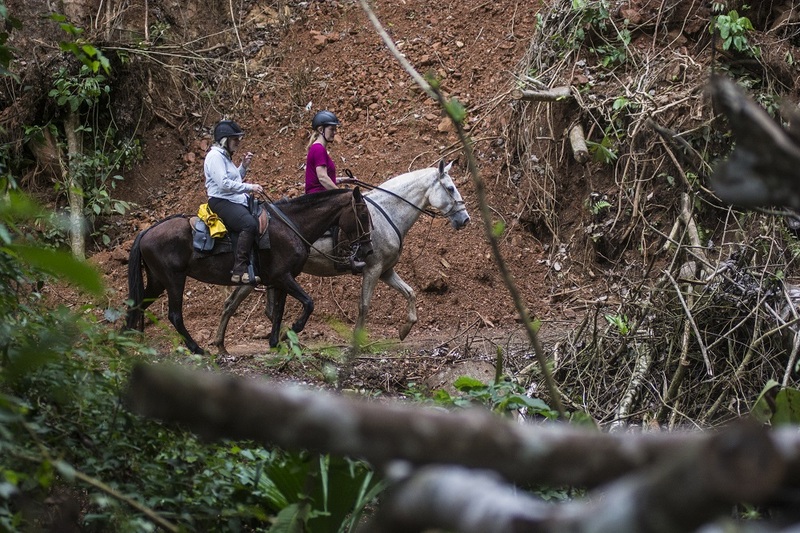 Above all you should be open to a new style of riding and be confident enough on horseback to tackle some varied terrain including river crossings and steep slopes. 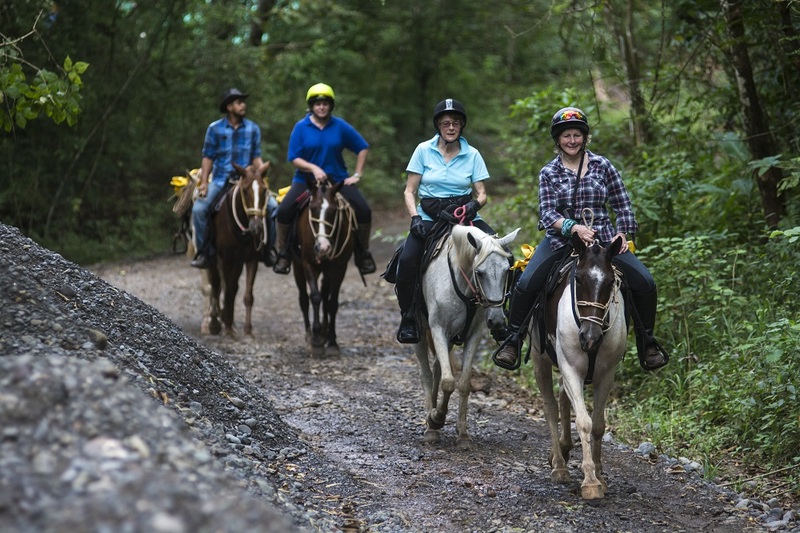 Due to the terrain a lot of the ride will be at walk, but there may be the opportunity for the occasional trot or canter. 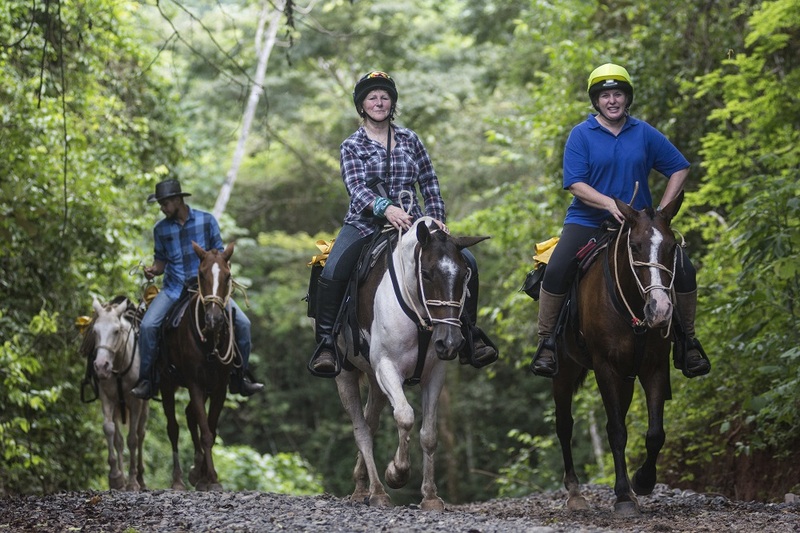 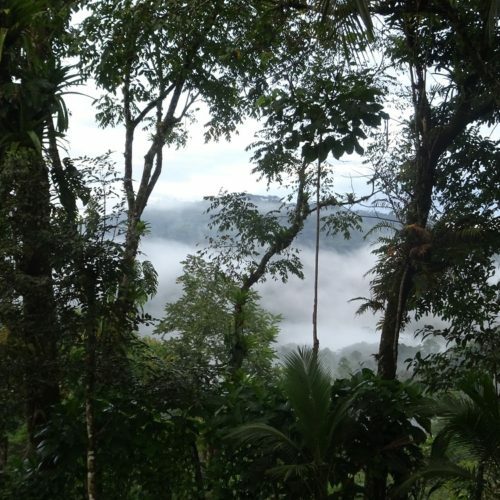 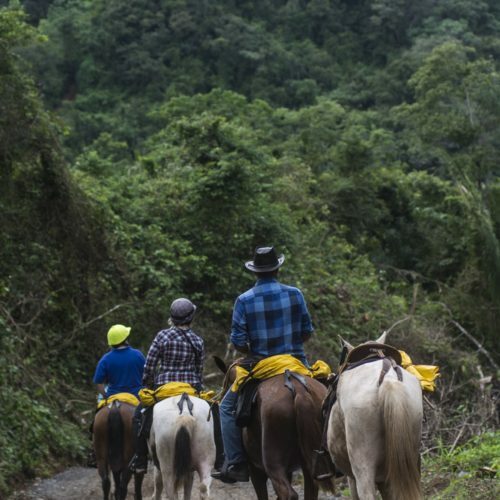 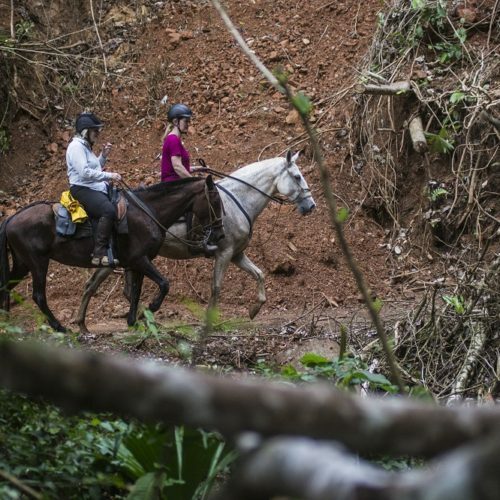 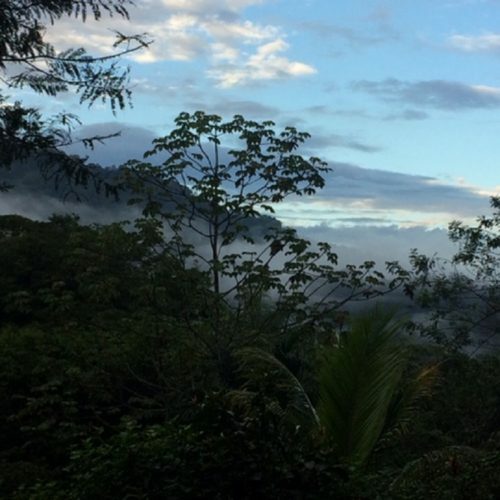 During the Wilderness Ride you spend two nights in San Jose, two nights at Rio Carara Lodge, three nights at Finca Galán and your penultimate night at Palenque Mata de Platano in the Turrubares county. 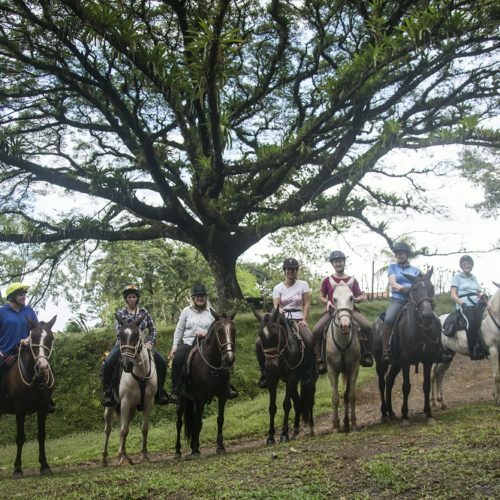 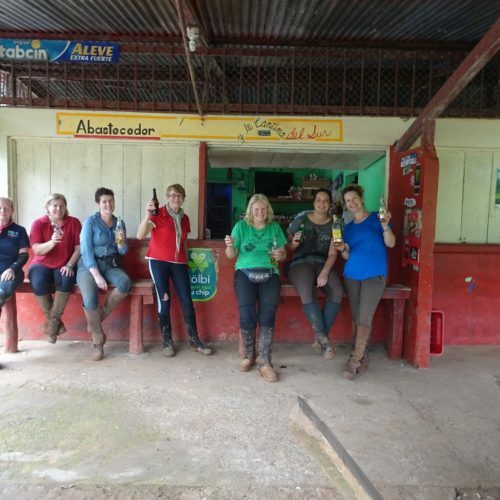 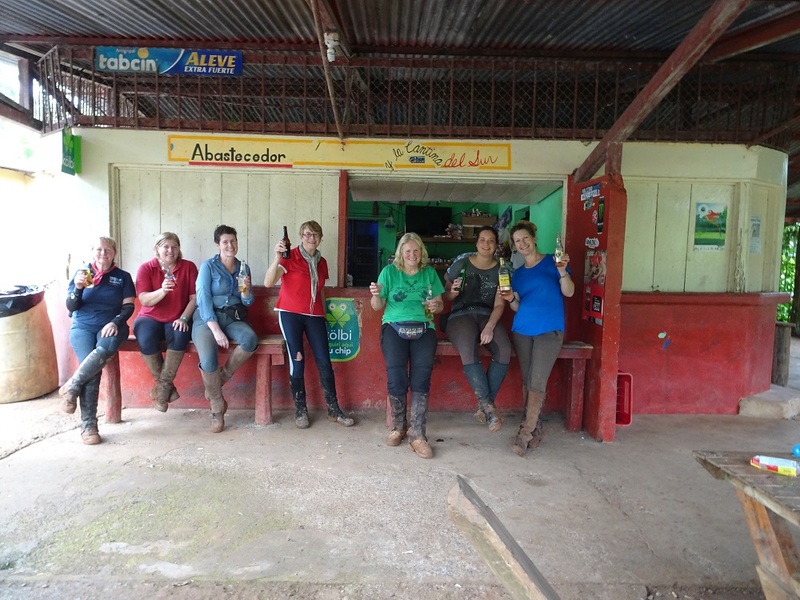 Whilst staying in San Jose your hotel room may have facilities such as air-conditioning and a mini-bar, but during the riding section you are staying off the beaten track in rural Costa Rica and so the accommodation is basic and rustic. 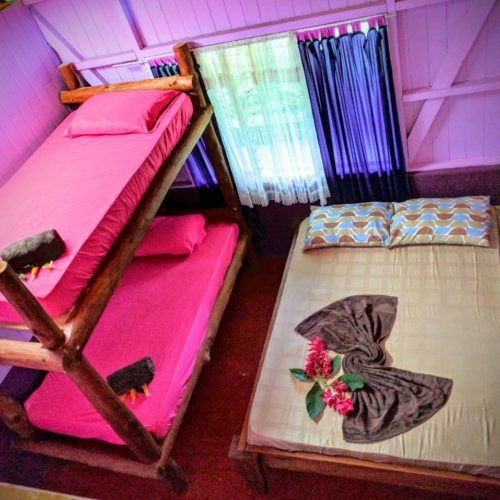 Single rooms are possible for the two nights spend in San Jose, but you must be prepared to share for the remaining six nights. 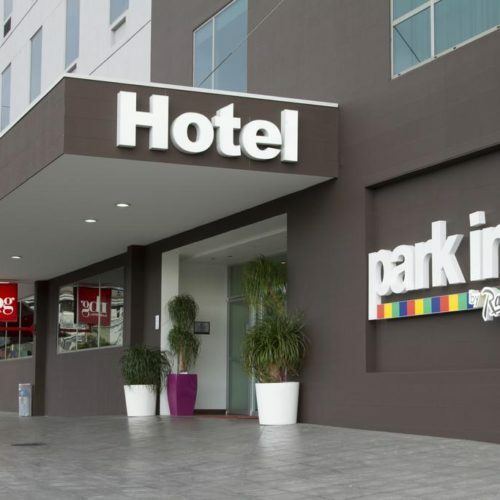 Your first and last nights are usually spent at Park Inn hotel, situated about 18km from the airport and just three blocks from the city’s main avenue Paseo Colón. 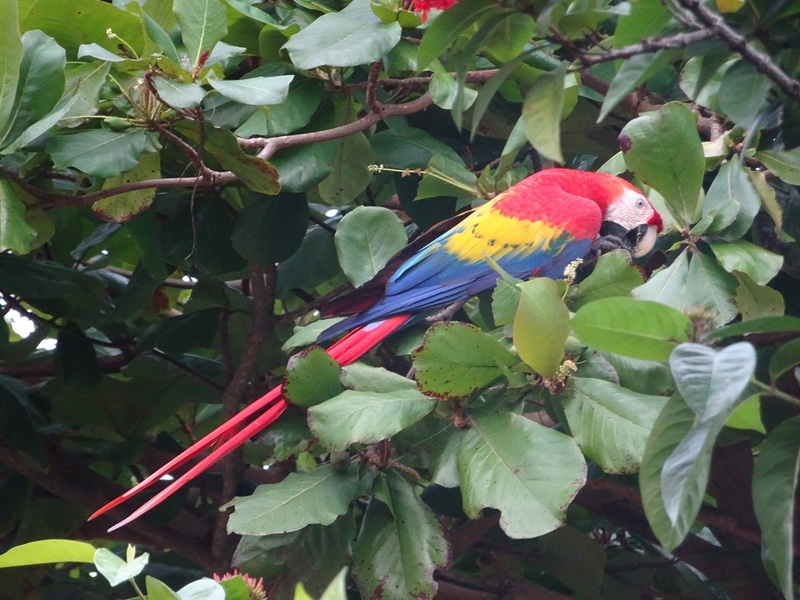 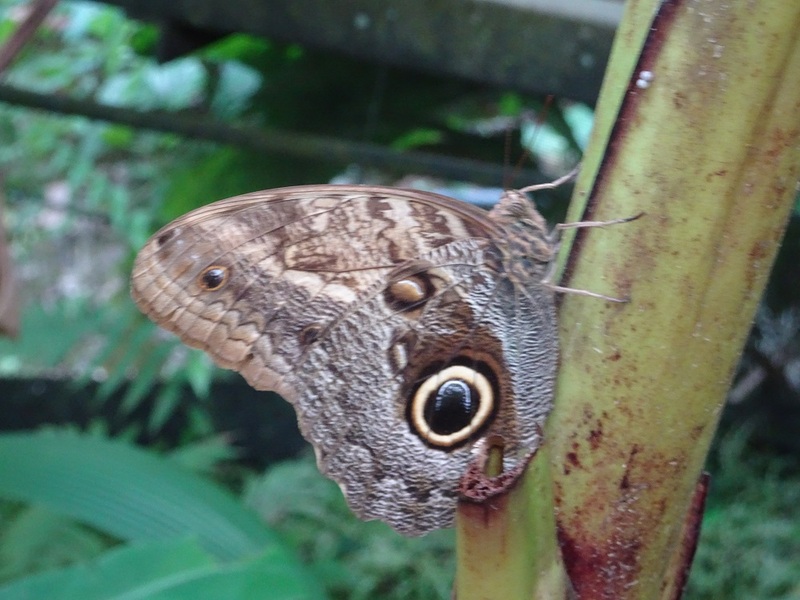 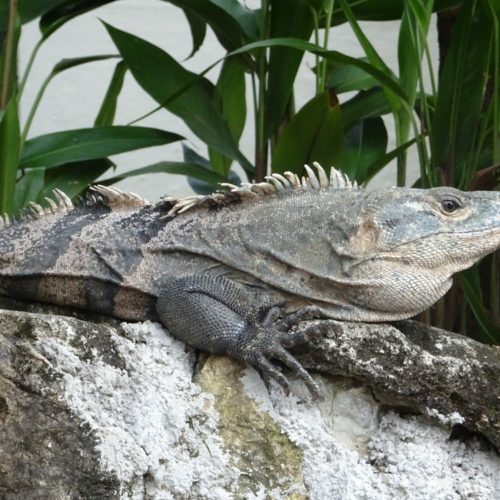 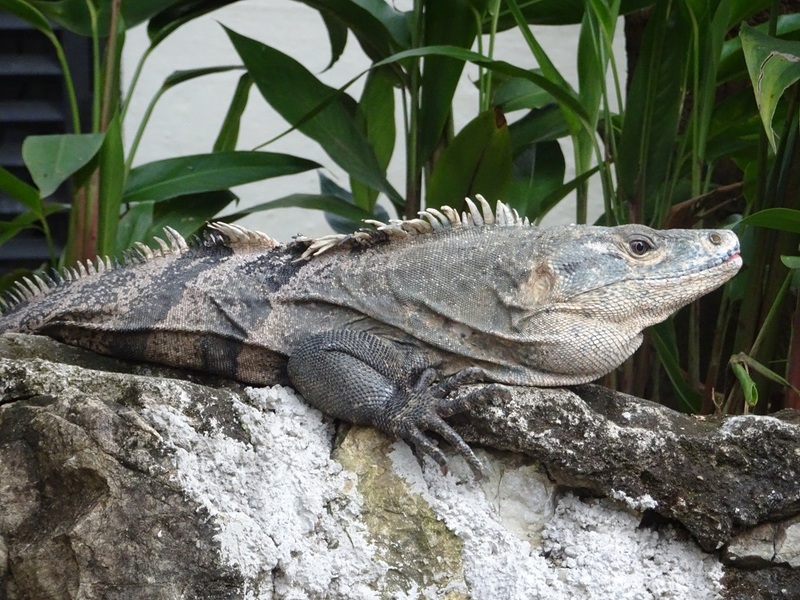 The hotel is close to the National Museum, Jade Museum and Costa Rican Art Museum. 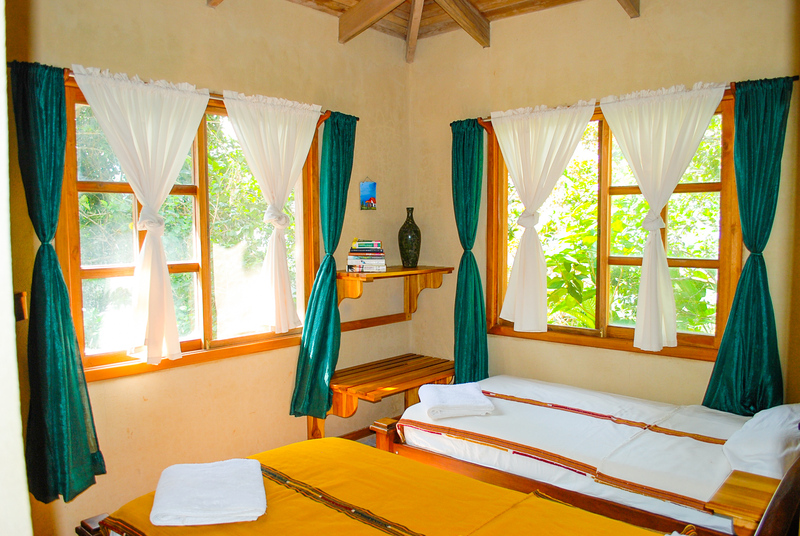 Each guest room has free wireless Internet access, mini bar, coffee maker and flat-screen television. 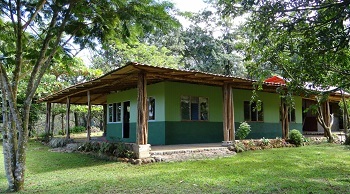 Your accommodation for nights 2 and 3 is Rio Carara Lodge, nestled in a secluded part of Carara National Park. 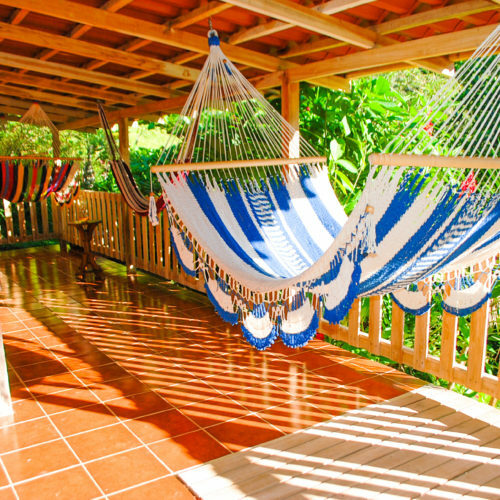 There are no near neighbours, so you are assured a tranquil atmosphere. 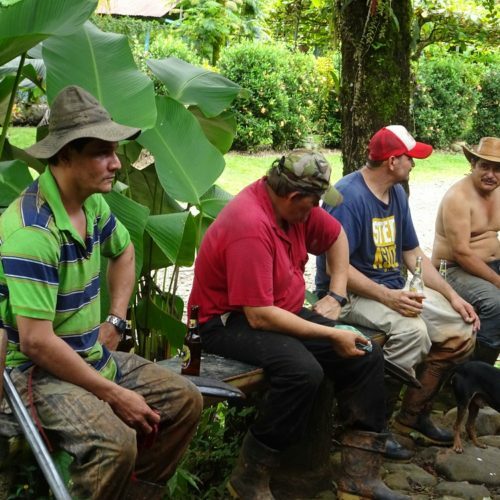 There is no electricity and food is prepared on a traditional wood stove. 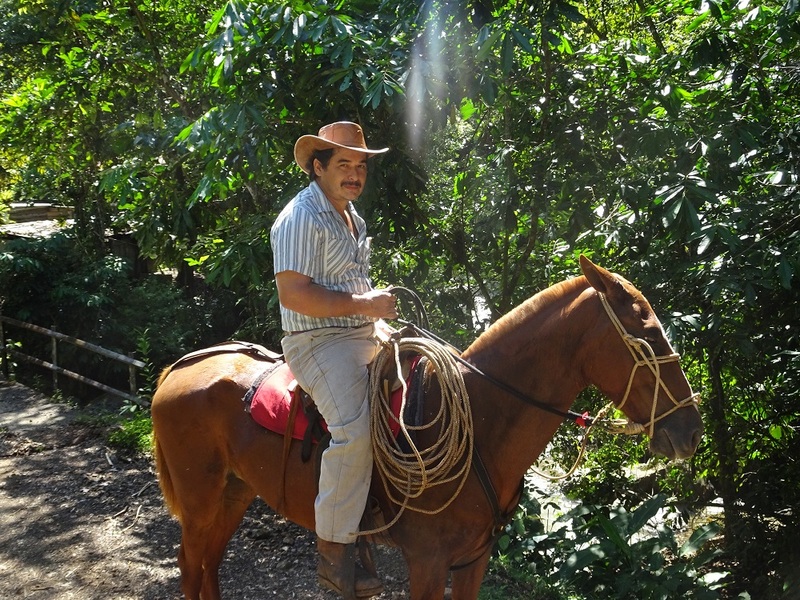 Most of the ingredients are locally sourced and grown on the property. 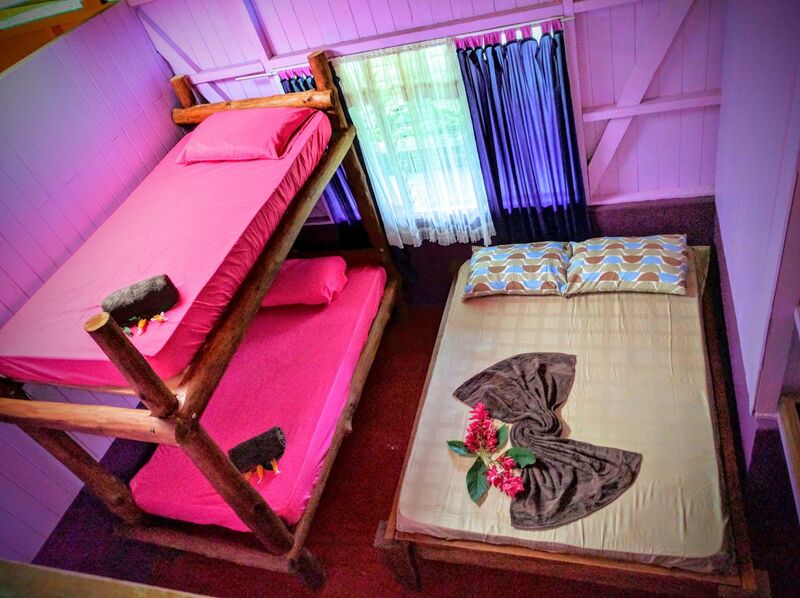 Accommodation is in the rustic family home, surrounded by a spacious veranda with hammocks. 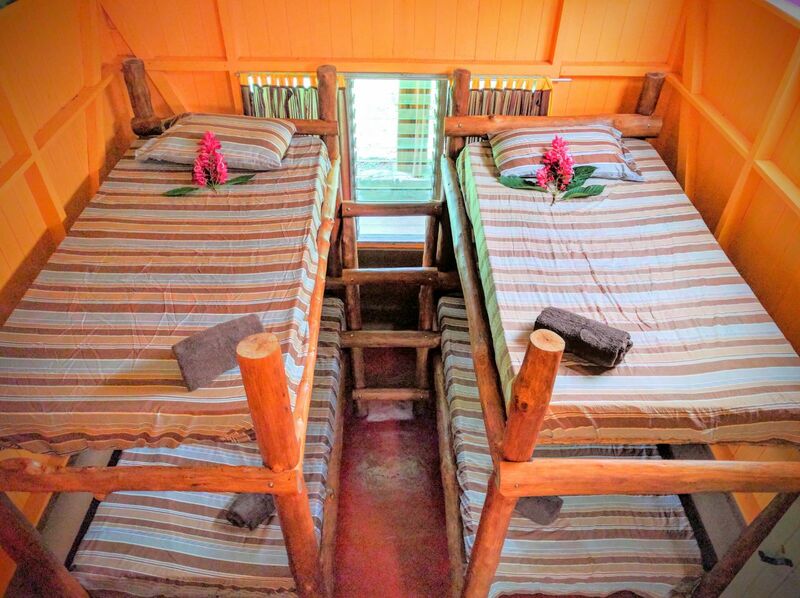 There are three guest rooms; one double and two rooms with bunk beds. 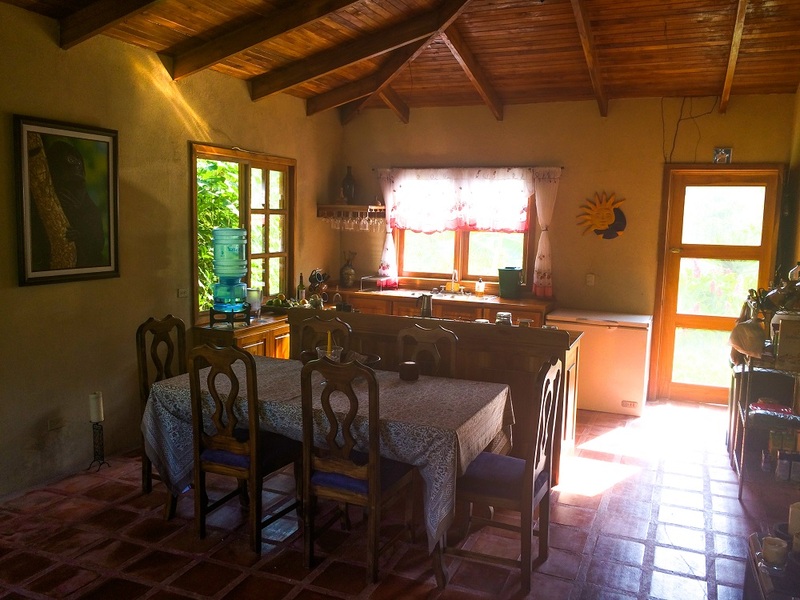 For nights 4, 5 and 6 you stay at the remote Finca Galán, an ecological farm in the Turrubares Mountains. 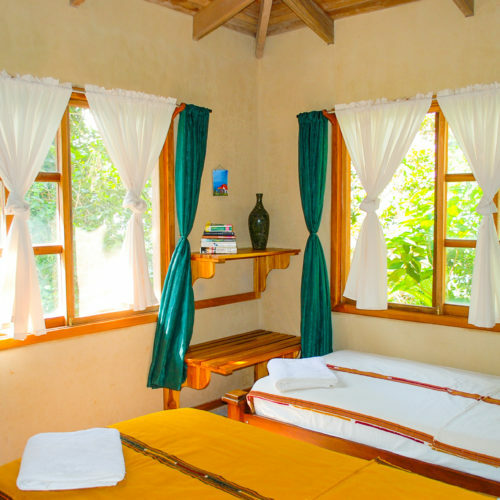 There are three guest rooms and two bathrooms. 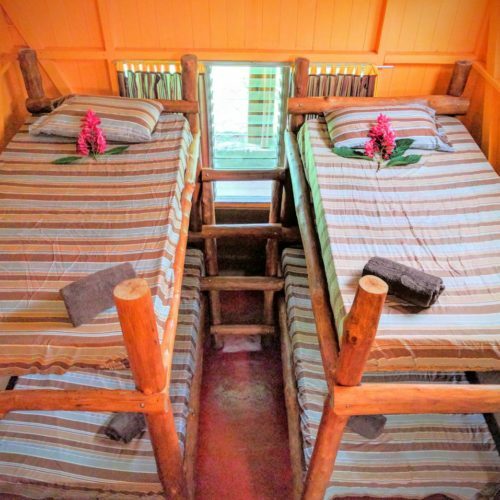 One room is a double, one a twin and last room contains bunk beds. 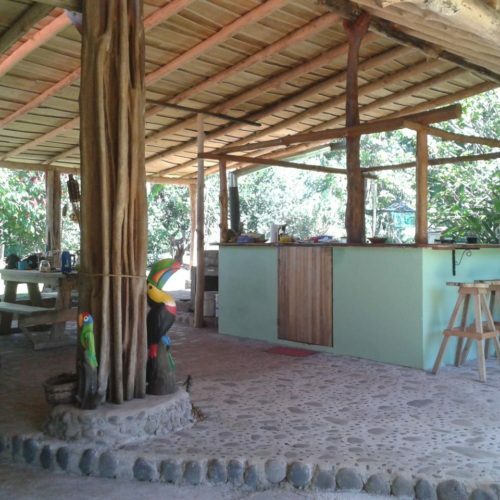 There are two sofas in the small living area. 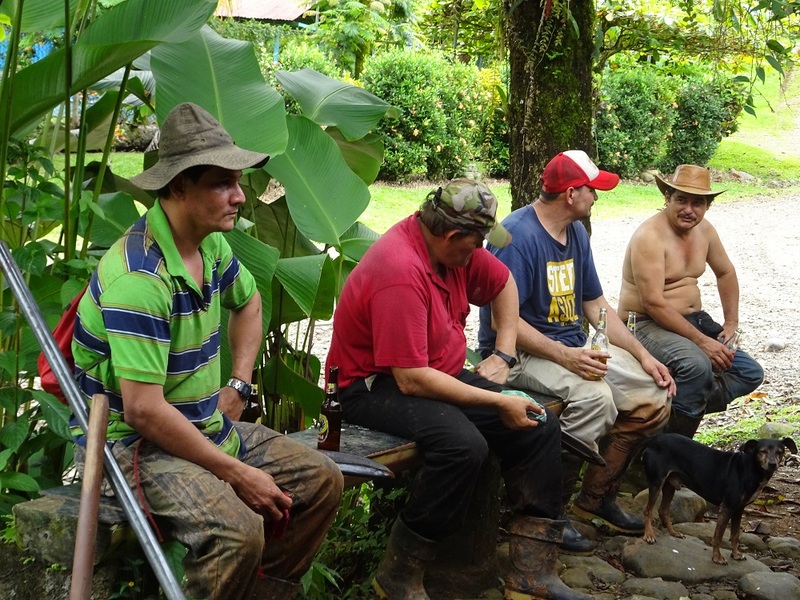 Water is brought to the house using a gravity system from a natural spring. 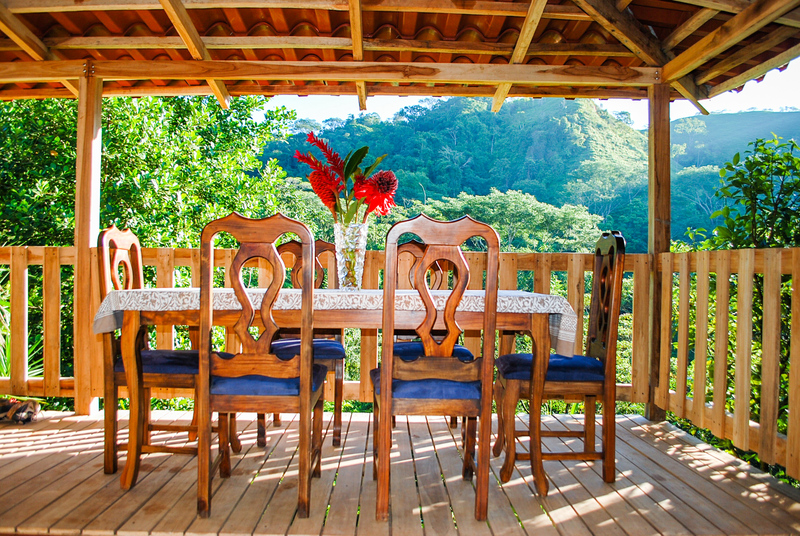 There is no electricity, so food is prepared on a gas stove and evenings are spent by candlelight. 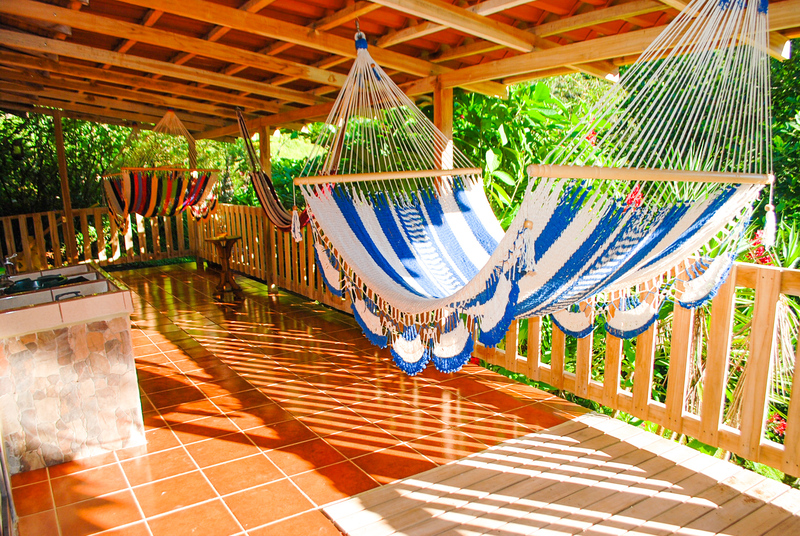 Outside there is a covered veranda with hammocks to rest upon. 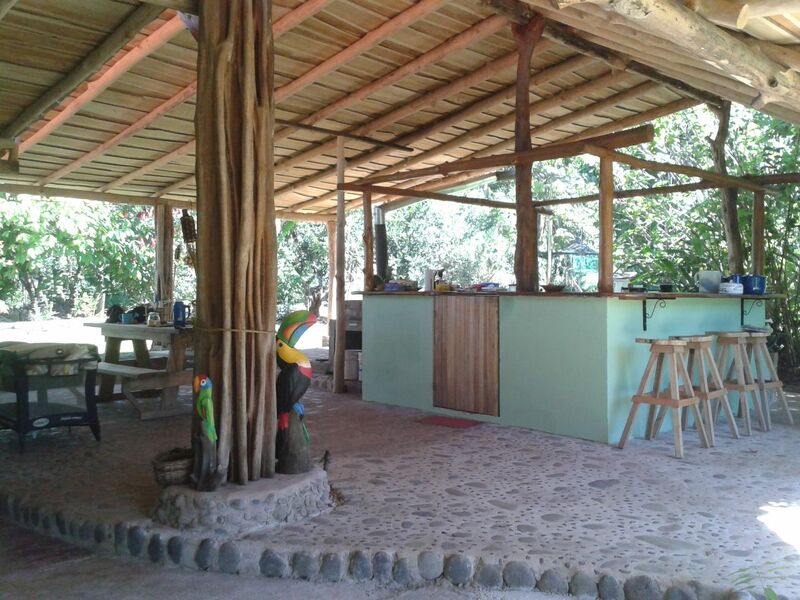 This Costa Rican Pub is located by the Turrubaritos river and serves as rest stop for locals wanting a meal, a beer or a stay. 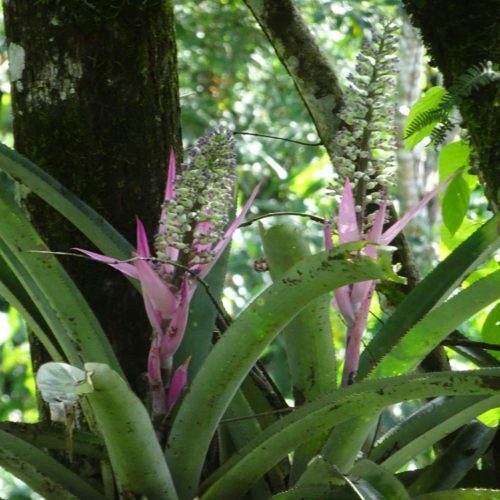 Palenque Mata de Platano offers 4 rooms with ceiling fan. 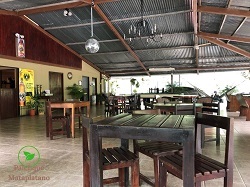 The rooms are located right above the bar and restaurant. 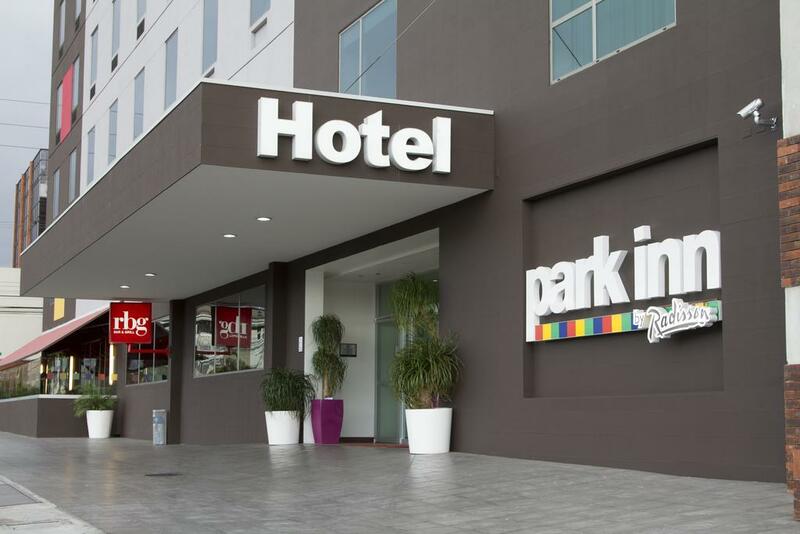 Your final night is back at the Park Inn hotel in San Jose. 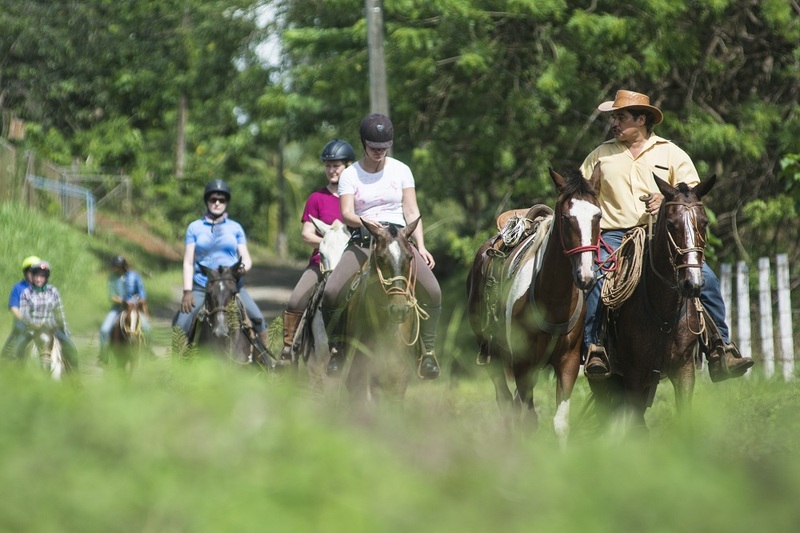 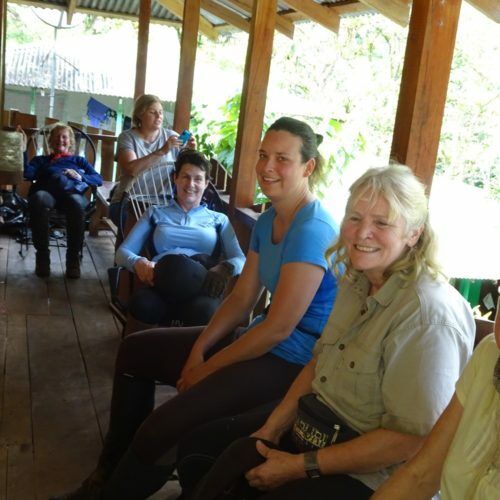 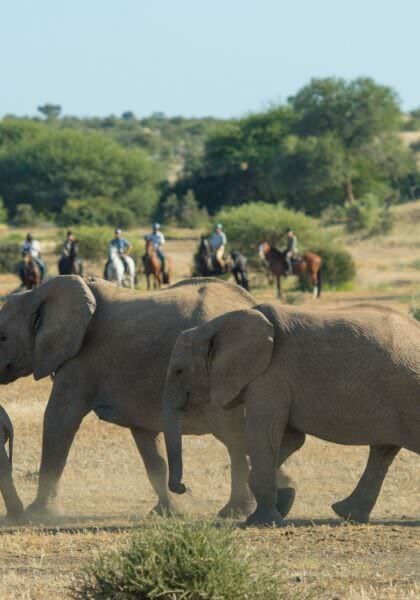 INCLUDES Six nights at Cerro Lodge; one night in hotel in San Jose; non-riding activities; all transfers; most meals; riding as per itinerary; English speaking guide. 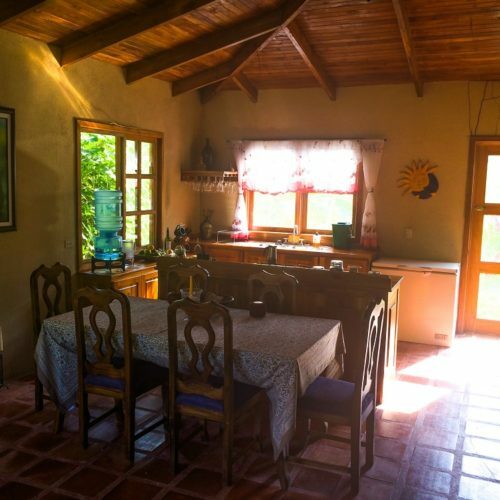 SINGLE SUPPLEMENT single rooms are only possible in San Jose for a supplement. 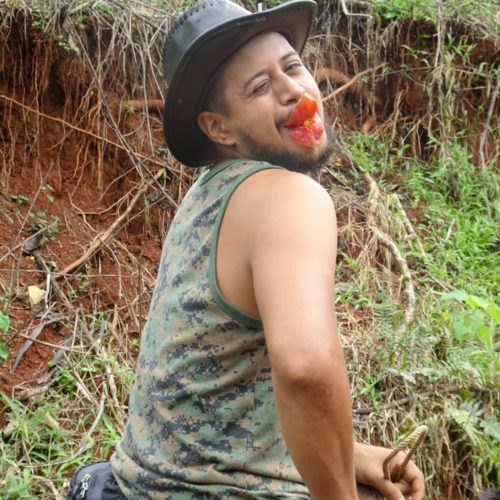 You must be prepared to share on the other nights. 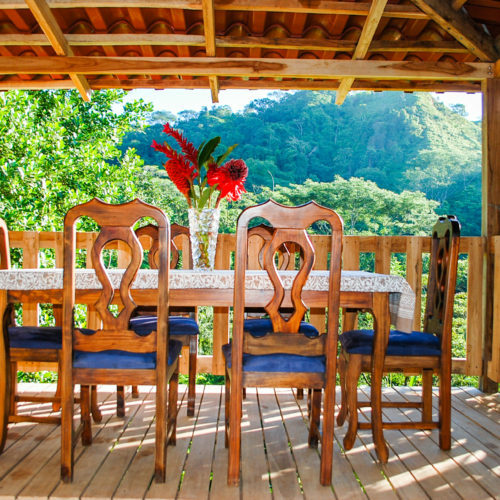 There is a 10% discount per person available on dates between January and May 2019. 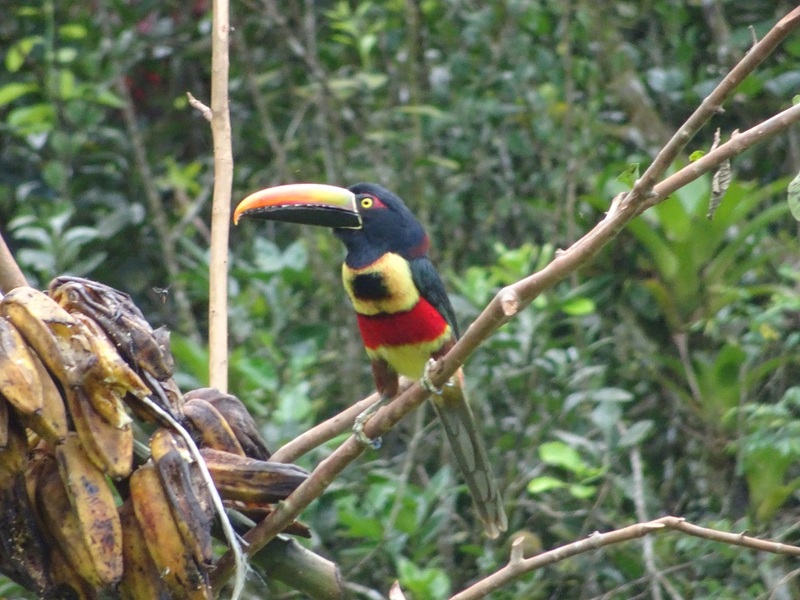 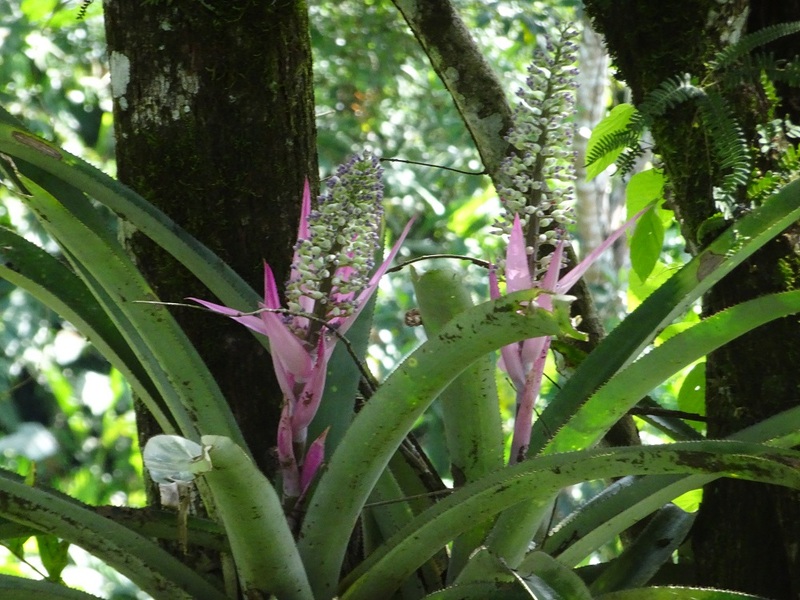 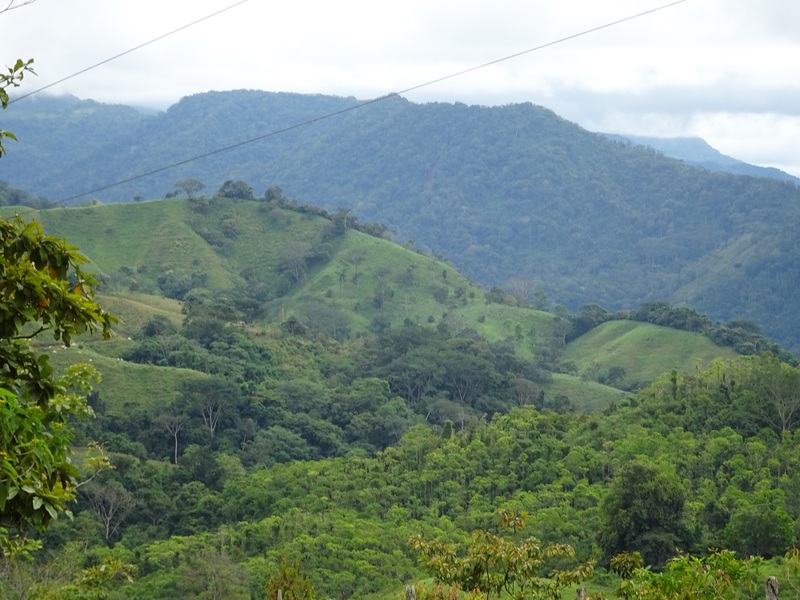 The Carara National Park is in the Central Pacific region west of San Jose. 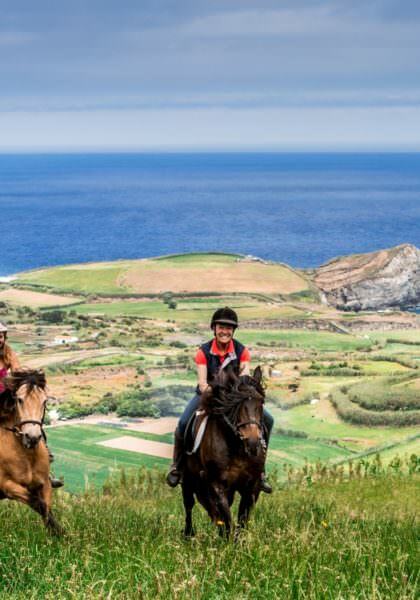 From here you will make your way into the Turrubares Mountains, and finally onto the Pacific coastline. 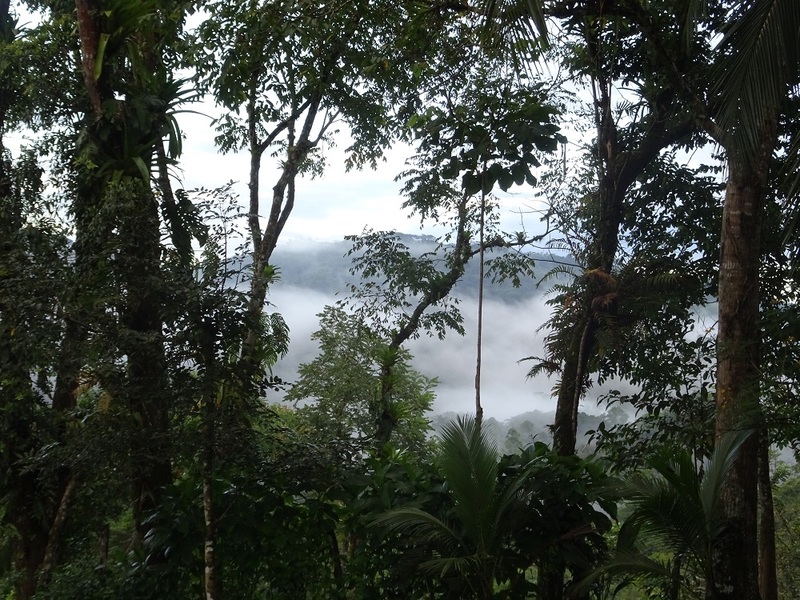 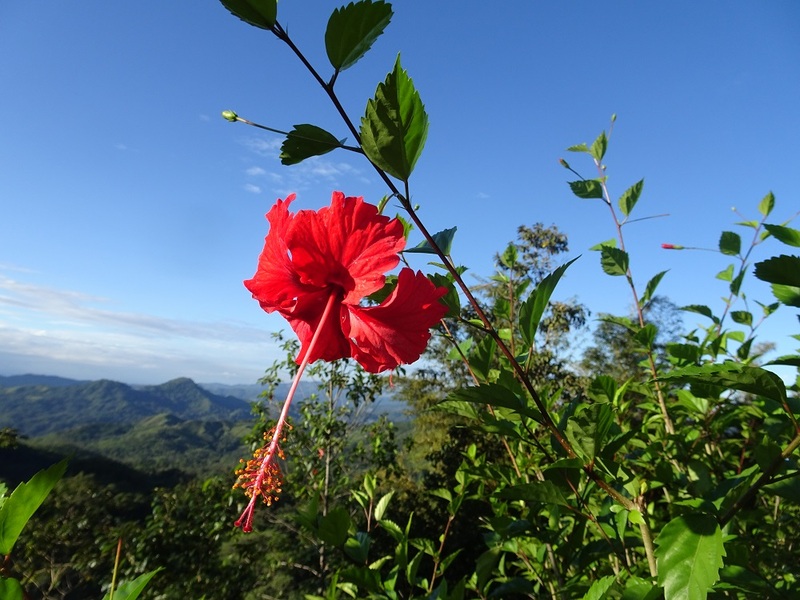 The Pacific and central parts of Costa Rica have their ‘dry season’ from December to April. 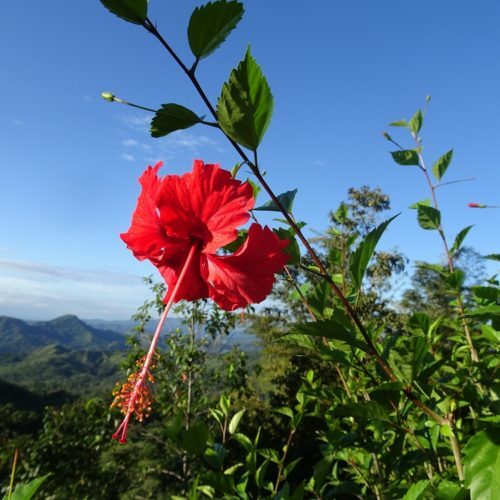 June to the end of October are the months when the most rain will fall, with the heaviest rainfall usually occurring in October. 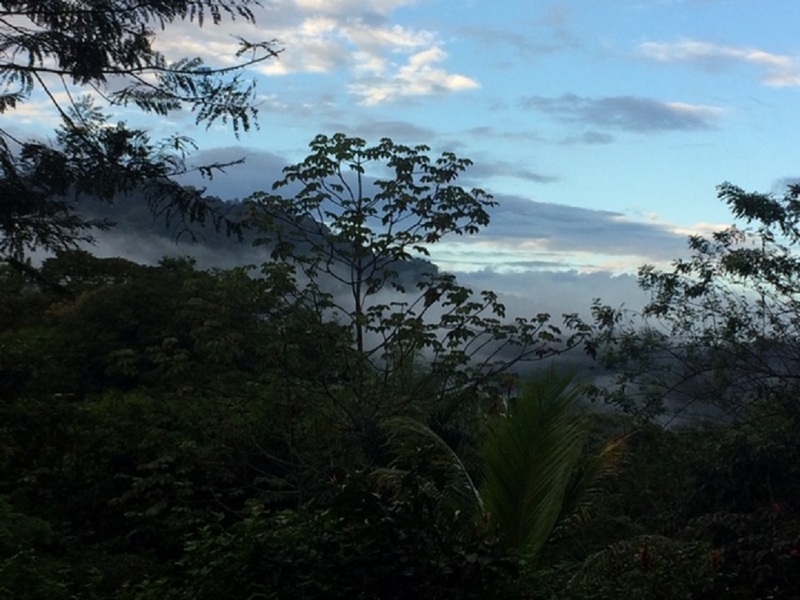 May and November are transition months when it can rain, but the rain would not be quite as heavy. 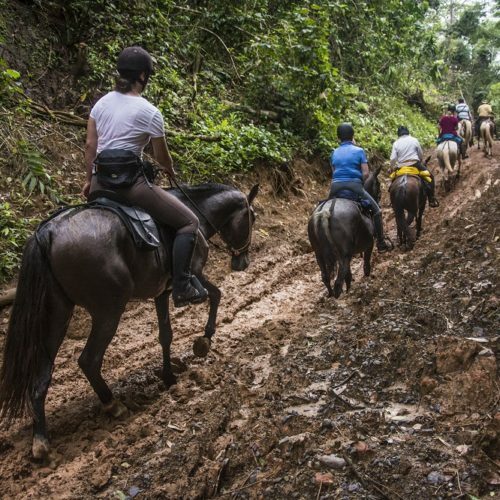 An open attitude is needed for this expedition, anything can happen, paths in the forest can be blocked, mud slides navigated. 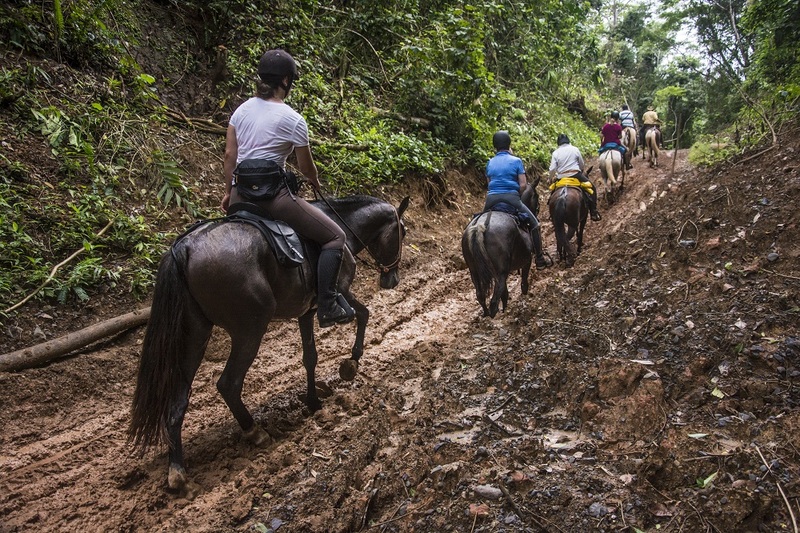 It is good to wholeheartedly embrace the trip as an adventure. 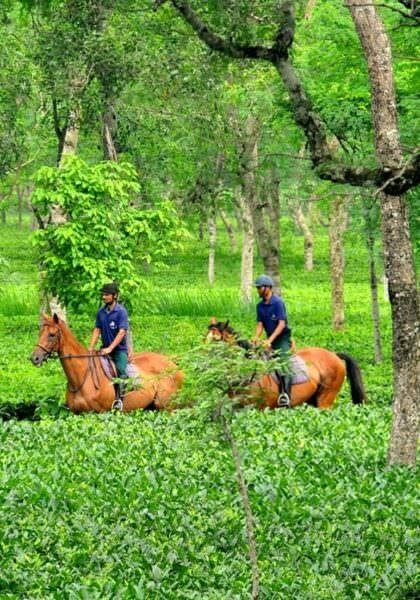 Drinking water is very important due to the heat and humidity. 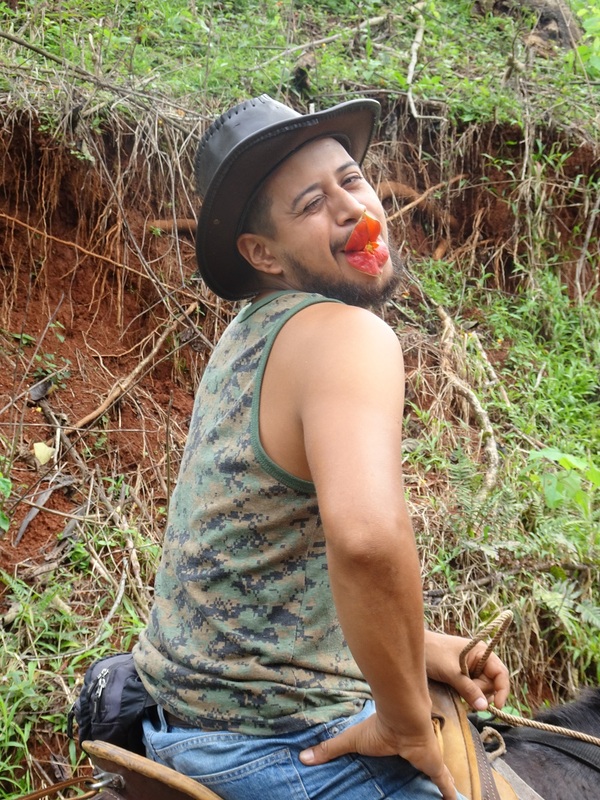 You really can't drink too much!